Although the Denver & Rio Grande Western's Craig Branch lost its mainline status when the Dotsero Cutoff was opened in 1934, these former Moffat Road (Denver & Salt Lake) rails still saw passenger service as late as 1968, when nos. 9 and 10 still stopped at Steamboat Springs at 3:13 pm and 10:14 am respectively, providing service to Denver to the east and Craig to the west. 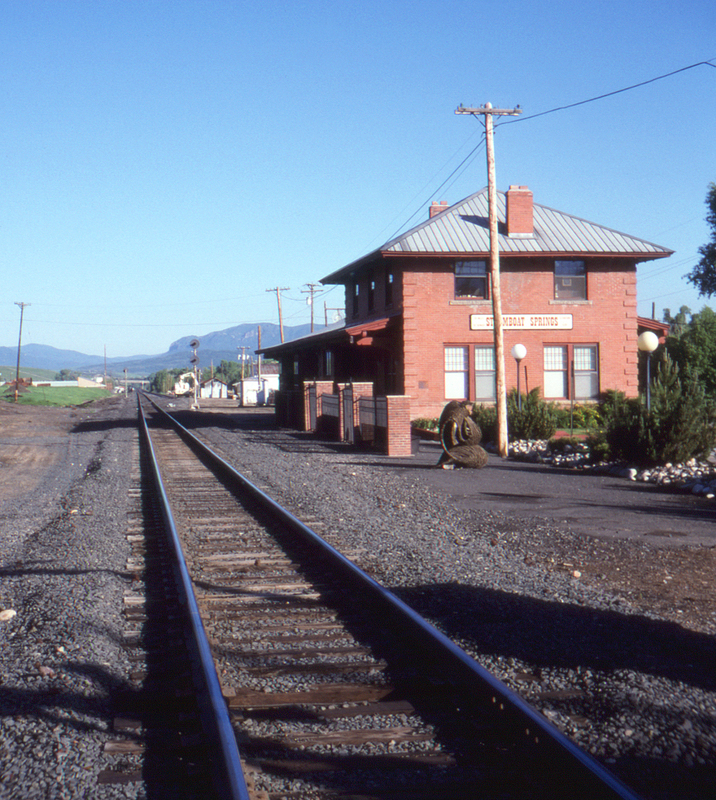 This well-preserved station sits on the south side of the tracks; this view is facing east. This page posted 10/1/2017; revised 3/1/2019. Text and photo ©2017 Lamont Downs.